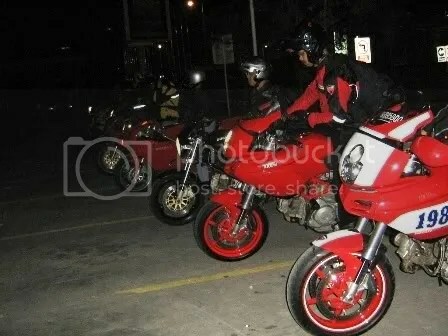 Before the end of 2006, together with other 14 Ducs (5 Multistrada, 5 Monster, 2 SBK 999, 1 SS 900, 1 ST2) I join a ride on an alternative route from Jakarta to Bandung (West Java) on Dec 2-3, 2006. This time we rode via Cibubur, Jonggol, Cileungsi, Cikalongkulon, Cirata Dam, Cikalongwelan, Darangdan, Wanayasa, Ciater and Lembang and entering into Bandung city from the north down from Mount Tangkuban Perahu. Although a bit longer route, it was always nice to ride in empty small village roads, ride between the tea plantation and ride in the heavy fog around the mountain area. Get ready with the rain coat, since riding in the rain is one of the consequences to ride in December in Indonesia. See this: Breafing before start. 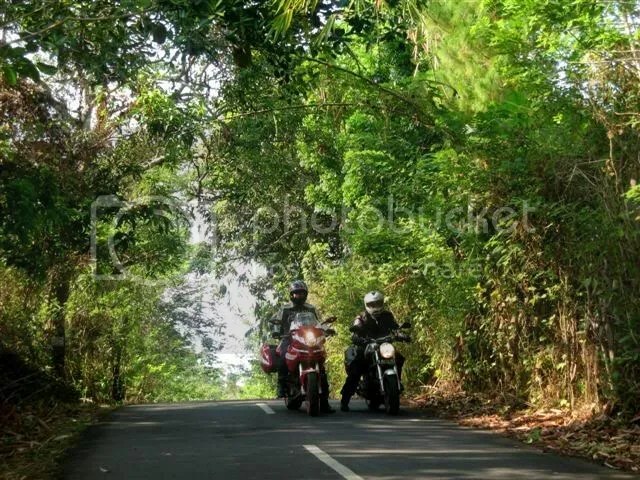 Flexi weekend is always tempting for a short riding in the city or on the country side. On Nov 11-12, 2006, my wife, Cindy and I (Multistrada 1000DS) and Santoso (Monster 600) decided to ride to the beach at the south coast of Java island, Pelabuhan Ratu. If we go straight, it should not be too far. It is only about 160 Km. 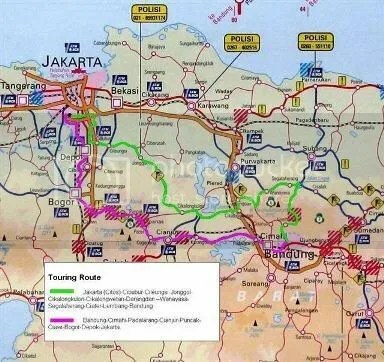 However, to enjoy a longer ride, we decided to choose a lot longer and circle route via Bogor, Leuwiliang, Jasinga, Rangkasbitung, Pandeglang, Saketi, Malingping, Bayah, Cisolok and Pelabuhan Ratu. It was 370 Km day trip trough hilly roads with many steep corners but combined with a fantastic Mountain View and beach view along the coast. 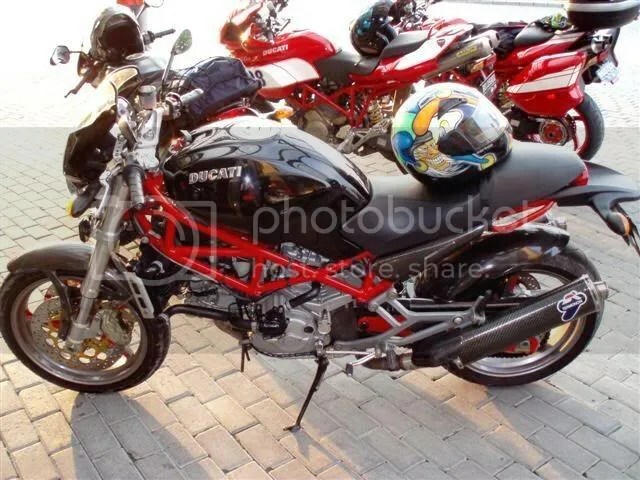 Just before started, a friend, Gita (HD Street Glide) joined the Ducati Team.